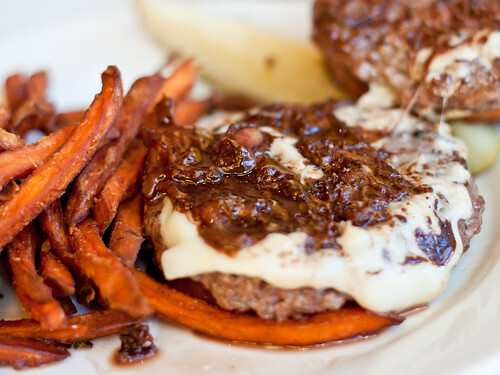 I have to say that chocolate in a burger sounds just wrong. 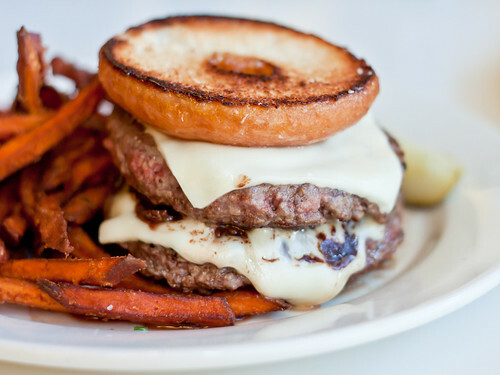 Make a great savory burger and finish with a great donut, but don't try and eat them at the same time!! Didn't paula deen do this once? Don - sounds wrong... because it is wrong. Barrett - nah, she bitched out. Fried egg can't compete with double patties AND chocolate covered bacon. I always tell people to take advantage of this place during restaurant week. 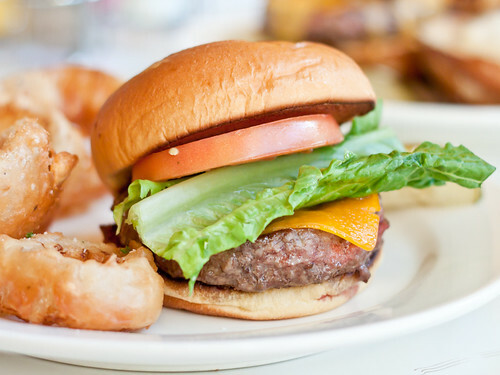 They have really interesting but just slightly above average burgers. Although super fatty-licious I still feel you get less then you pay for if you go there normally. 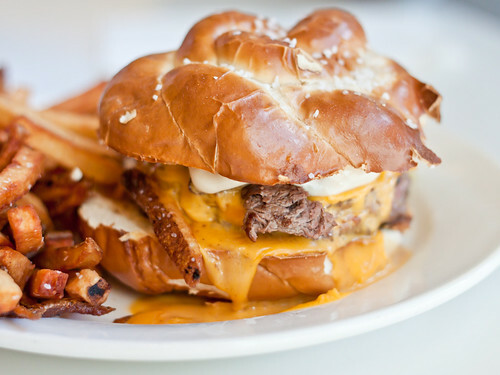 That Pretzel-cheesesteak-burger...it is all kinds of amazingly mixed up! I am still trying to wrap my brain around that Krispy Kreme chocolate bacon abomination.